War is the ultimate crucible where ideas, theories, etc, prove their worth based on outcomes. Russia’s brilliant performance in Georgia, documented by uncompromisable UPI military analyst Martin Seiff, demolished the grounds for the pessimism espoused by the likes of Pavel Felgenhauer or Aleksandr Golts regarding Russia’s real military strength. The mini-war between Russia and the former Soviet republic of Georgia is less than six days old at the time of writing, but many tactical weapons system and strategic lessons are already emerging from it. First, the Russians have not repeated the mistake the Israelis made in their abortive attempts to expel Hezbollah, the Shiite Party of God, from southern Lebanon in July 2006. They did not rely on air power alone to rout their enemies, even though the Georgian army was not dug in with anything like the preparation that Hezbollah had invested in its underground positions to withstand the Israeli air force. 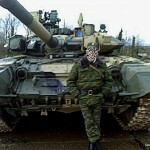 And where the Israelis sent just a few thousand ground troops into southern Lebanon, the Russians boldly sent in a far larger ground force into Georgia: the 58th Russian Army of the North Caucasus Military District backed by the formidable 76th Airborne “Pskov” Division. Unlike hapless Israeli Prime Minister Ehud Olmert in 2006, the Russians applied the classic Carl von Clausewitz principle of concentration of force against their enemy. The Russians, like the Israelis in southern Lebanon in 2006, did not hesitate to bomb and shell inhabited areas when they felt the tactical conditions required it, but they proved far more aggressive and successful in their incursions by tank columns. Second, although the Georgian army had quite a formidable force on paper, it could not stand up against major military formations of one of the world’s leading armies. Third, this reinforces a broader lesson that has been taught repeatedly in the conflicts of the past 17 years since the 1991 First Gulf War: Postage-stamp-size countries like Georgia or even small but supposedly more formidable ones like Iraq are usually no match for a superpower or a major regional nation. The U.S. armed forces blasted the Iraqi army to smithereens in about a week of combat when it was numerically the fourth- or fifth-largest manned force in the world in 1991 and rolled all the way to Baghdad with only around 150,000 troops in 2003. Fifth, the remarkably widespread anti-Russian prejudice by many American pundits and supposed military experts proved to be simplistic ignorance: In any war, no army performs with 100 percent efficiency and brilliance. Most armies and commanders are pleased to get the job done at all, however messily. What matters is being at least marginally better trained, motivated and rapidly moving than the enemy. The Russian forces in the current conflict have been a lot better than that. They have been up against a weak opponent, but like the U.S. army in both Gulf wars, they are proving themselves vastly superior to their opposition. Sixth, the Russian army is far better than the forces that bungled their initial drive into Chechnya in 1994, or even that started the Second Chechen War in 1999. The vast investments that current Russian Prime Minister Vladimir Putin poured into the Russian armed forces during his two four-year terms as president did not vanish down a black hole. In terms of training, tactical coordination, boosting morale and overall efficiency, they clearly made a significant impact. None of these factors, however, explains why the Georgian armed forces, which have enjoyed significant U.S. investment over the past year and more, have performed so badly. While the Russian Army’s performance in the Georgia peacekeeping mission was laudable, the Navy has received less attention. One naval blogger is determined to set the record straight. While most of the world has focused primarily on the ground conflict in Georgia, the Russian Black Sea Fleet has been active off the coast. By now, you may have heard some isolated reports — 4000 troops landed by sea at Ochamchire, a battle resulting in a Georgian coast guard ship sunk, and even claims by Georgia of minefields laid off the Georgian coast. Details have been hard to come by. But, piecing together the analysis and reporting, one can get a picture of some of these events. While the speed of the Russian Army’s response grabbed the attention of western observers, the fast response by the Russian Navy has been quite remarkable, too. The war started on Friday August 8th; the Black Sea Fleet was reported to arrive off the coast of Georgia on Saturday August 9th. That’s pretty impressive, considering it is about 400 nautical miles from Sevastopol to Ochamchire. While the Moskva, Smetlivy, Muromets, and Aleksandrovets can make good speed and make the trip quickly, those ships sailed from Sevastopol with an assortment of support vessels that could only make 12-16 knots, at best. Simple math reveals that would make it a 25 hour trip, meaning the ships would have had to put to sea almost immediately after the fighting began. For any fleet to deploy that quickly is extraordinary readiness. Then, on the early morning of August 10th, there was a battle at sea. The Russian Black Sea Fleet was engaged by four Georgian coast guard vessels, while conducting landing operations in Ochamchire. The Russians claimed to sink one ship, and the day after the battle the Moskva was reported to be in the Russian port of Novorossiysk. “We took up station guarding the opposed landing on the Abkhaz shore when all of a sudden four high speed targets were detected. We sent out an IFF signal and the targets didn’t react. Receiving a command from the flagship, we got into formation and right at that moment the unidentified targets opened fire on the ship formation and flagship. The cruiser was damaged and a small fire broke out aboard. Then, fearing for seaworthiness, the flagship withdrew from the firing area.” – the sailor said. It’s a bit of a questionable story. However, the sailor interviewed was appraently from the MRK Mirazh (617, project 12341, NATO – Nanuchka III). Why does that matter? Because the MRK Mirazh is the ship Russia has credited with the attack. Her Captain, Ivan Dubik, was reported to be in the Kremlin on Thursday accepting congratulations. Some of the details of the sailor’s story are slightly inaccurate — call it fog of war. The Georgian ship sunk was not the Tbilisi, as the sailor suggests. Rather it was the Georgian patrol boat P-21 Georgy Toreli. A night battle in the littoral, the Georgians armed only with guns, yet the little flotilla of four was able to get in close to Moskva and start a little fire. Covering its withdraw, the Mirazh missile boat is reported to have sunk the ship in only 90 seconds in what was reported as 300 meters of water. According to Al Jazeera, the Coast Guard base in Poti was attacked with artillery on Wednesday after the cease-fire, destroying the rest of the coast guard ships in port. The Tbilisi, which was reported to be in bad condition prior to the war, was sunk in that attack. As for the 4000 troops? All indications are the Russian Navy reportedly used three amphibious ships to ferry the 4000 paratroopers from Novorossiysk– reportedly without vehicles. Recent analysis tends to imply the vehicles came separately — by rail.